Looking for an auto glass company Seattle can trust? 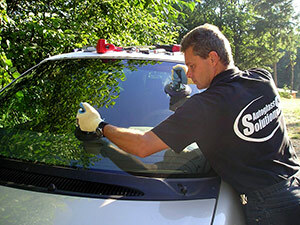 Auto Glass Solutions is one of, if not, the best auto glass company Seattle has to offer. Let us give you outstanding auto glass repair or replacement services at a price you can afford. If you want a quick quote and do not want to read any more of this article you can call (206) 257-2244 or you can fill out the contact form on our website by clicking here. The old saying “you pay for what you get” is untrue in the auto glass industry. There are many auto glass companies in or around Seattle that may charge you a high price for windshield replacement, but not provide quality installation, glass, or service. Many auto glass companies will use recycled windshields for every auto glass replacement. Using a recycled windshield is not necessarily a problem. If the person or auto glass company choosing the auto glass is not experienced in identifying defects in the glass, this is where recycled auto glass can quickly become a problem. We buy recycled auto glass too when the new auto glass is extremely expensive through our new auto glass sources or not available through our used auto glass sources. The price difference between purchasing new auto glass versus recycled can be drastic. The new auto glass can cost six times as much as the recycled auto glass in many instances. If there is new glass at the same price as recycled glass, we will always opt to buy the new auto glass for the windshield replacement. However there are not very many occasions where new glass is the same cost as used glass. We are able to pass the savings onto our customers when we are using recycled glass. Due to the difference in cost to you, not many people choose to use new glass. The recycled glass we handpick is like brand new anyway and there really is not a difference in quality between new and recycled auto glass. If you specify it has to be new auto glass, we will absolute use new auto glass purchased from one of our auto glass providers. We have a network of great sources to purchase recycled auto glass. Auto Glass Solutions is always looking for top quality auto glass for auto glass installations. Some brands of auto glass are better than others. Auto Glass Solutions goes to great lengths to find and use the best brands of auto glass when we are using recycled auto glass. We also inspect every piece of auto glass carefully before purchase. Then we will clean up the auto glass and do a second inspection to try to locate any imperfections. We do one more final inspection of the auto glass as we are doing the installation. The main thing we are looking for when we are inspecting the auto glass is a nick. Nicks in auto glass can become a problem very quickly especially in the right conditions. Most people do not know that auto glass is more fragile at the edges. You are more likely to get a cracked windshield if a rock hits the edge of your windshield opposed to the center of the windshield. This is why we inspect glass so closely before we install it. The smallest of chips or nicks can cause a crack in a windshield. Why is experience so important when it comes to an auto glass company Seattle? One of the key reasons experience is so important is the quality of the installation. If a windshield is not installed properly, the windshield can have pressure applied where it is not intended to have pressure. When this happens it can cause what are called “stress cracks.” A windshield can appear to be just fine after the installation and then all of a sudden a large crack will show up. These stress cracks will normally show up within two weeks or less of installation of the auto glass. There are ways to identify whether you have a stress crack or your windshield was hit by a rock or object. The best way we have found to differentiate a stress crack from a chip than has turned a crack is the following. We take a ball point pin and run it the entire length of the crack. We then feel for dips, or divots in the glass. If you feel a divot in the glass then you know there was a chip that turned into a crack. A stress crack should not have a divot. It will be a smooth crack from top to bottom. Call us today to get an estimate or if you have any questions about our auto glass company. We look forward to helping you with all of your auto glass needs. If you made it this far into this article, we want to thank you for reading. Auto Glass Solutions hopes you are able to make more informed decisions regarding your auto glass and auto glass company you choose to use.